Looking to Hire a Magician in Jersey? 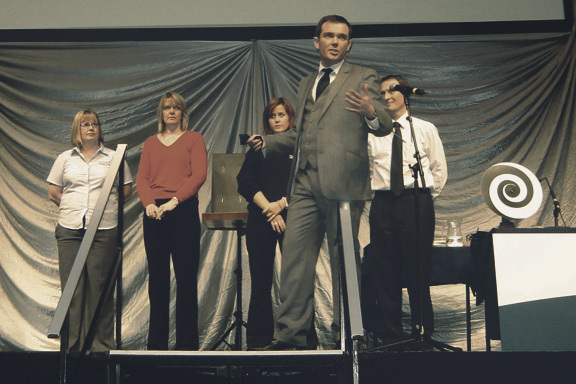 Jersey Magician and mind reader Edward Crawford, has been amazing audiences in Jersey, with his unique style of psychological illusion, and incredible ability to read minds, for over fifteen years. With acts including a close up performance (magic performed to individuals and small groups, either sat at a table or standing as Edward mingles amongst your guests), a parlour show (which combines Edward’s close up act and stage show, perfect for smaller audiences), and stage show (ideal for bigger audiences and venues), Edward has the perfect performance for every type of event and function. Whether you’re planning a corporate event, ball, wedding, banquet, charity gala, or private party, Edward has a performance to suit your event and will leave your guests with the most memorable experience. Over the years Edward has developed his contemporary and grown up style of magic by combining psychological illusion with magical trickery and sleight of hand, and a dash of humour. Your guests will witness Edward reading their thoughts, predicting the future, and moving things with just the power of his mind. 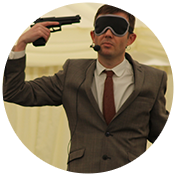 In recent performances guests have witnessed Edward driving blindfolded, predicting the headlines on a national newspaper weeks in advance, replicating the drawings of a guest in a separate room, and playing Russian Roulette (his family and friends are still recovering from this!!)! Edward’s act will leave even the most cynical guest amazed and thoroughly entertained. 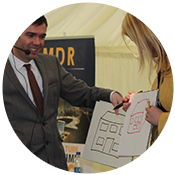 Jersey Magician – Edward is based ten minutes from Gatwick airport in the UK and with regular flights with Easy Jet to Jersey on a daily basis can often be in Jersey in less time than it takes to travel to most parts of the mainland by train. This means that Edward can often fly in and out of the island on the same day so additional costs for travel (return flights can be as little as £50) and accommodation are kept to a minimum. Edward has performed in Jersey frequently over the years from large corporate events to small private parties. He is well acquainted with the island and will be able to arrange travel to and from the venue making the booking hassle free for you. No matter what event you’re planning Edward will tailor his act to suit you and your needs, and you can rest easy with the knowledge that your event will have the very best entertainment, from a professional with over 15 years experience in his field. 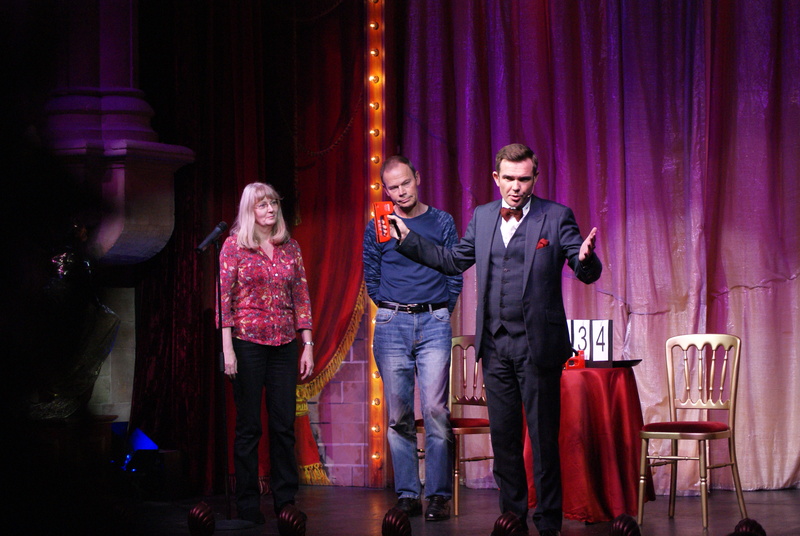 To Hire a Jersey magician Contact Edward on 07814 135569 or info@www.edwardcrawford.co.uk for more details. If you would like to book him for your event in Jersey simply fill in the enquiry form below. 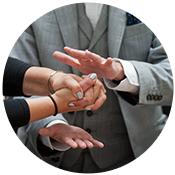 Whether you require a Jersey Magician for close up performance at a dinner or drinks reception, or a cabaret /stage show, Edward will tailor his act to suit your event. 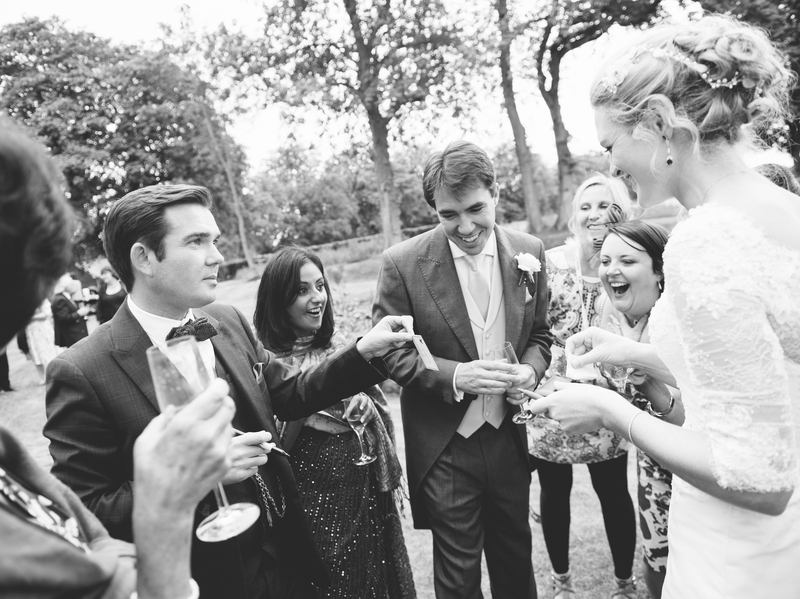 Edward offers a wide range of performance types dependent on the nature of your event. Below are detailed the most popular forms of entertainment services Edward offers as a Jersey Magician. Please note that every performance is tailored to suit your event so you can be assured a truly unique event. For more details head over to the services page. Edward’s close up and table act is perfect for practically any event hence it being his most popular service. Dinner parties, banquets, balls, weddings and outdoor festivals. Edward has performed close up magic at all of these. 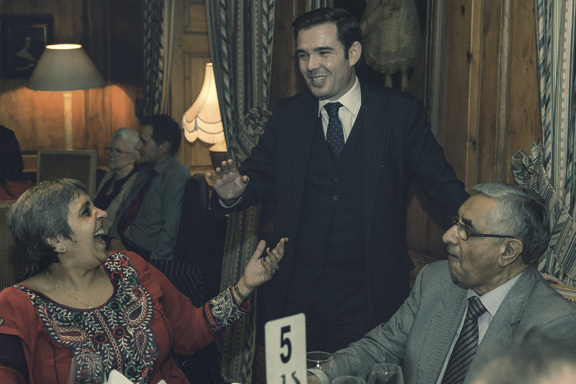 Edward will mix with your guests, either whilst standing or come to their table at a dinner, and perform for small groups or individuals, giving each group their own, personal 10 minute show. If you see this type of performance on tv you may thing camera trickery, when it happens inches from your face you will truly believe your mind has just been read. If you’re after a close up magician in Jersey go to the close up page for more details. Want to hire a Jersey magician for your wedding? 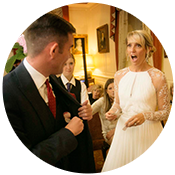 Wedding Magician and mind reader Edward Crawford has been performing his close up act for weddings for the past fifteen years throughout Jersey and is currently one of the UK’s most sought after acts. 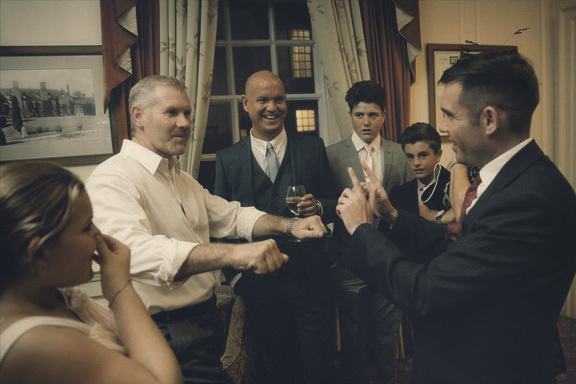 Whether you require entertainment before the reception whilst photographs are being taken and many guests are arriving at the venue, during the wedding breakfast, or the evening reception, Edward will tailor his act to suit your purposes. Edwards unique blend of magical mind reading and humor will bring an unforgettable performance to your wedding. 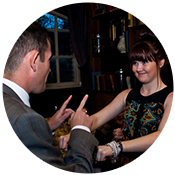 No matter what the circumstances Edwards act is the perfect entertainment for your wedding. 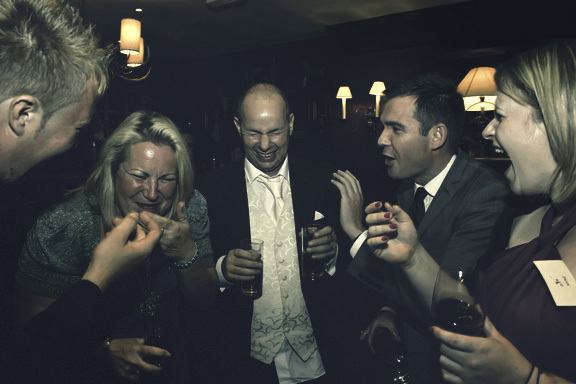 Go to Wedding Magician for further information or contact Edward to hire a wedding magician in Jersey. 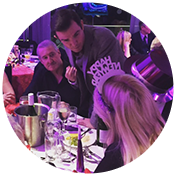 Jersey Corporate magician and mind reader Edward Crawford’s act is the ideal entertainment for all corporate events including trade shows, a team building day, Christmas parties, banquets or drink receptions. Whether you require a close up or cabaret performance, Edward can guarantee truly unforgettable entertainment. His act can be tailored to suit your company using your logos and company products throughout the performance. Edward will give your guests a truly unique and memorable act that they will be talking about for months. Please contact Edward for further information or to hire a corporate magician in Jersey. For further information regarding corporate events go to corporate magician. If you have any questions or wish to book magicians in Jersey please use the contact form or telephone Edward directly on 07814 135569. Please give as much information as possible, i.e. Date, location, type of performance etc.